Thread: Seat back clip repair. 1.) Clean both surfaces with a fine 80-100 grit sandpaper to remove any residual adhesive/roughen up the mating surfaces. 2.) Spread a thin coat of cyanoacrylate (like MXBON 105, or any other good industrial superglue) to each surface - make sure you get it to the edges of the parts so as to eliminate stress concentrations that would allow peel. 3.) After getting the initial adhesion, run a bead around the perimeter of the clips to allow the adhesive to get in by capillary force . If possible clamp the two pieces together for about 2 hours. 4.) Wait overnight before reinstalling the shells. 5.) The top hooks, which are the ones that fail, slide up to engage. The bottom ones push in when the top hooks are fully engaged. The hardest part of the fix is re-installing the seat back. Due to the thickness of the leather, it's difficult to get the top hooks to "click" in place. Go slow, be patient, and you'll eventually get it. So you recommend the "superglue" as opposed to a glue especially for that type of plastic? Is there a special glue that will "bite" into those plastics? Looks like BMW used something like hot glue from a glue gun. Gar, I just did my passenger seatback this past weekend. I used "Gorilla Glue", and it worked fine, just as it did when I repaired the driver's seat last fall. 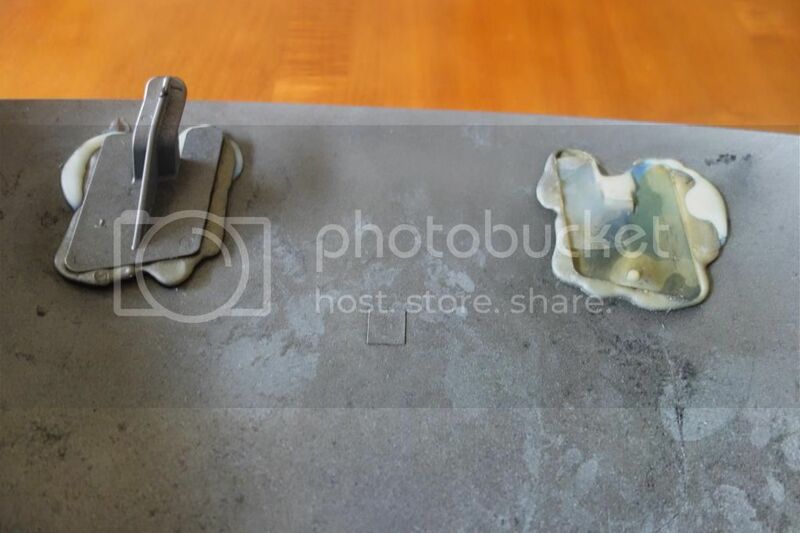 Two suggestions-remove all the residual factory glue, then take some sandpaper and rough up the the mating surface on the clip as well as the seatback. This will provide better adhesion. Also, carefully pry off any of the six clips that have not fallen off, and gorilla glue them as well. If you don't I can almost guarantee they will fall off during the wrestling match you will go through when you reinstall the seatback. Have fun! For this kind of job I would never use cyanoacrylate: under stress it breaks. Epoxy glue is the best. Just did it with some epoxy that I've used for all manner of stuff. Seems to be perfect. My seatbacks have been lose for a while and I finally pulled the passenger one off in order to hopefully repair it according to the instructions above. However, I can not locate the upper clip that goes on the left side (looking from behind) of the seatback. It is not underneath the seat, inside the seat back, or in the "I wonder what this is" bin. Anybody have one or any ideas? Am I SOL? Could this part be 3D printed? The other seat does have the matching piece. I would think you can get it as part from BMW if all else fails. That would be great - did not realize that... I thought I would have to replace the whole back. Great. I looked at the parts detail and I can see the lower clips as a separate part, but not the upper ones. I will check into to see if they are available as well. one would think so if the lower ones are. BMW only sells the entire seat back and not the top clips. They sell the bottom clips but they are useless as they sell only one part of that two-part clip. So don't bother ordering it from BMW. It is not the complete assembly. The Z8 seat also has two side clips which are not shown in the Z8 parts manual. There is a BMW dealer in Germany (see other seat back threads) who can get you 3D printed replacements for the top clips. Check out the other threads on this topic for more details. BMW sells the entire seat back assembly but their price was twice that of what can be purchased from BMW parts dealers. The seat backs (unpainted) are a little less than $500 each.